I met up with a friend at the last minute this weekend so I threw on whatever I had available. I was in the middle of house chores so leaving for a quick coffee break sounded delightful. The weather was beautiful so I searched my drawer of shorts (which is small in quantity!) and pulled out this old pair. Do you remember when printed shorts were everywhere on people? I know the printed bottoms trend has faded but, it felt like a nice change-up from the minimalism vibe I've been gravitating towards lately. I really like the vibe of this outfit and tje print on those pants is super fun! I think printed shorts are still fun! Especially paired with a chambray shirt - you can't go wrong! I don't own a lot of shorts either, but I'm still into the printed shorts trend. These look fab on you. Those shorts are so fun It's great to find old fashion treasures tucked away in our drawers! Ok, we wish we could throw together such a cool outfit with a moments notice. This is perfect and we totally remember when shorts like that were running rampant through town. Love that you're bringing them back. 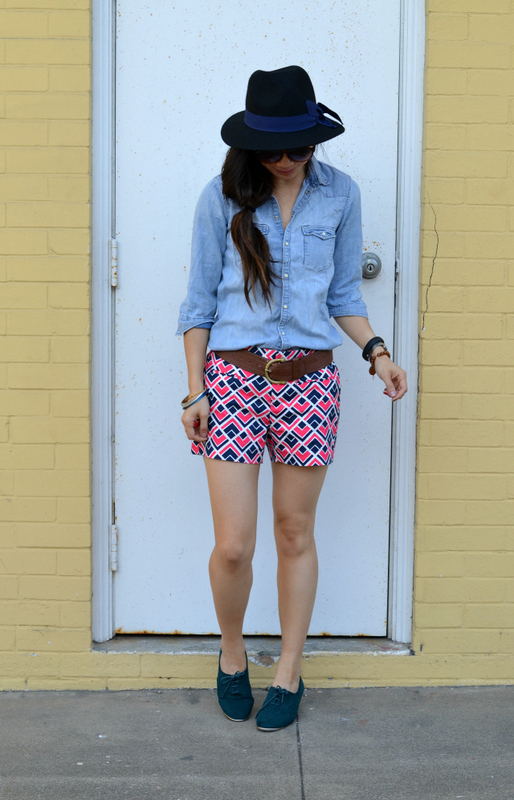 Great reminder that chambray totally goes with everything!! 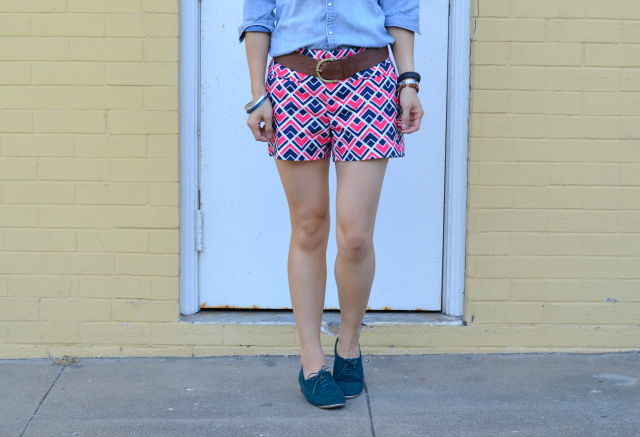 I love these printed shorts and how you wore your belt. I didn't realize printed shorts are not popular anymore but I am not one that pays much attention to trends. Great last minute outfit! 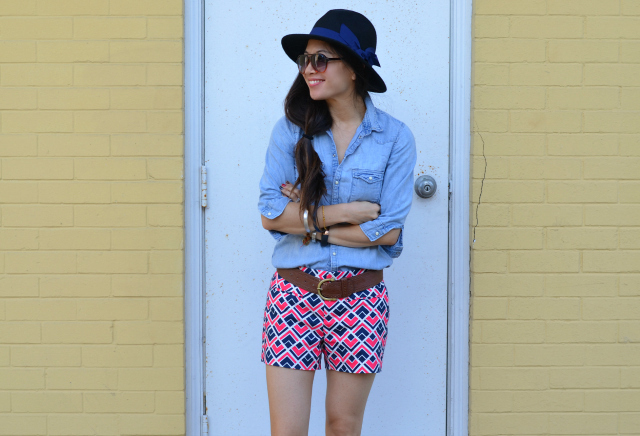 love the shorts and the hat!! Oooh I really love your hair in these photos Nancy, it's so pretty! A quick coffee break is always nice :) I like your shorts and your hair! I always notice how pretty your hair is loosely tied.